Identification: Upperside is orange, with dark borders and dark veins on both wings. 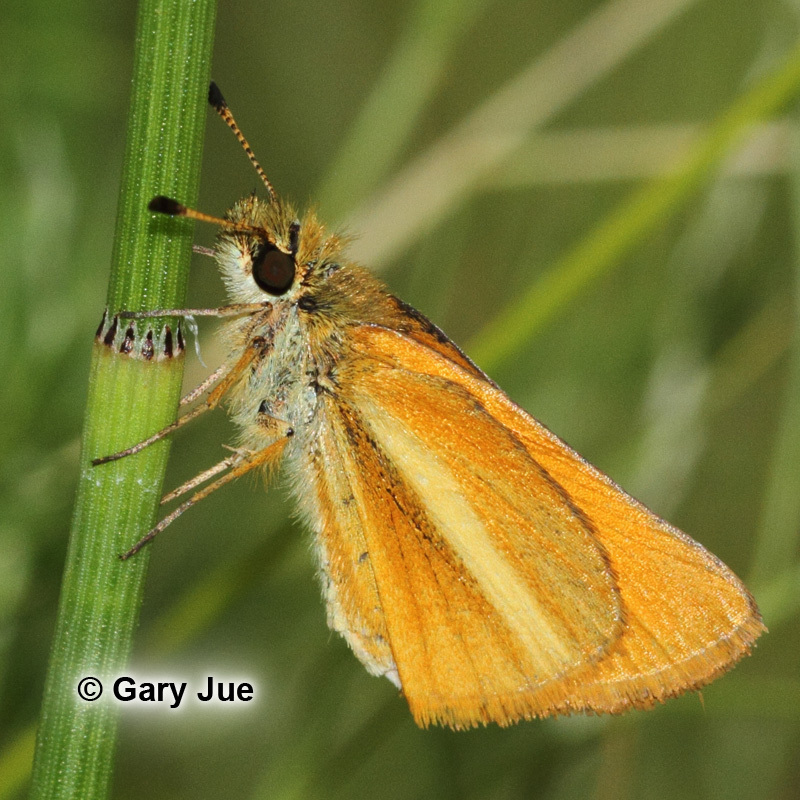 Underside is yellow-orange; hindwing has a white stripe from the base to the outer margin. Wing Span: 7/8 - 1 inch (2.2 - 2.5 cm). 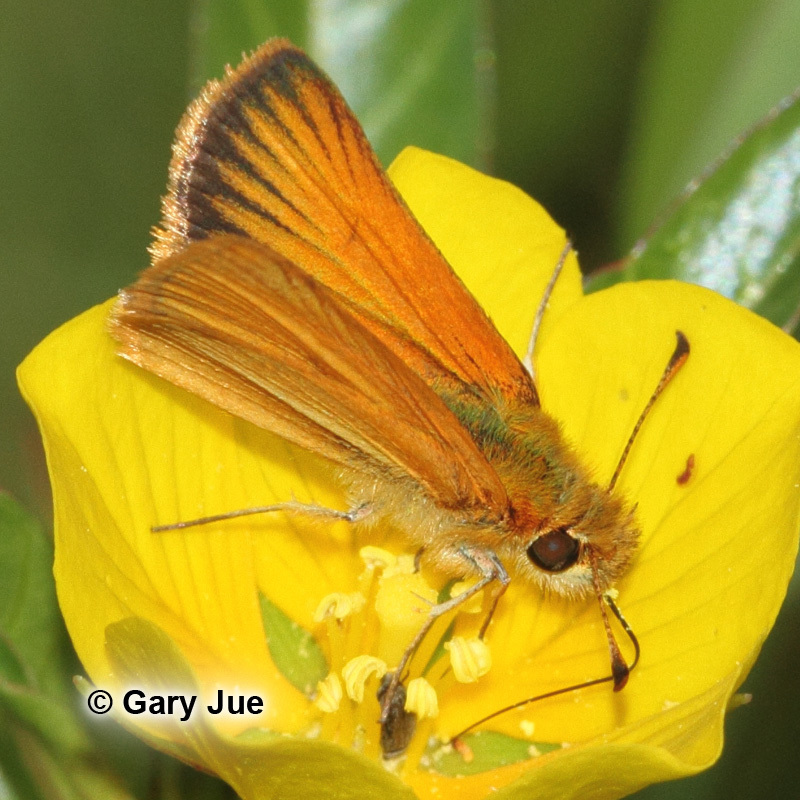 Life History: To find females, males patrol with a weak flight over flowers and grasses at springs. Flight: Two broods from May-October. Caterpillar Hosts: Knotgrass (Paspalum distichum) in the grass family (Poaceae). Adult Food: Nectar of watercress, Bidens, and other flowers. Habitat: Native upland marshes and springs. Range: Southern Arizona, southwest Texas, and Mexico. Conservation: Populations should be conserved wherever found. Care should be taken not to drain springs or to change the integrity of the habitat.